Jenkins is open source continuous integration server written in Java. Jenkins (https://jenkins.io/) is Easy to install, Easy to use, Multi-technology Multi-platform, Widely used, Extensible and Free tool for Continuous Integration. Jenkins detects changes in Subversion/GIT…, performs tasks, repeatedly such as Build, Test, Deploy, Package, Integrate.. Jenkins is A fork of the original Hudson project an is Under development since 2005. Find more on https://jenkins.io/ . Jenkins plugins extensibility makes Jenkins to adapt to many systems. Jenkins provides everything for a robust continuous integration system which helps a lot for team that practice Agile Jenkins continuously providing access to the working copies of software which supports the Agile principle. Let us see How we can install Jenkins on Ubuntu 18.04 (Debian Linux). After the Jenkins is installed It can be opened on Browser On the address http://localhost:8080 . 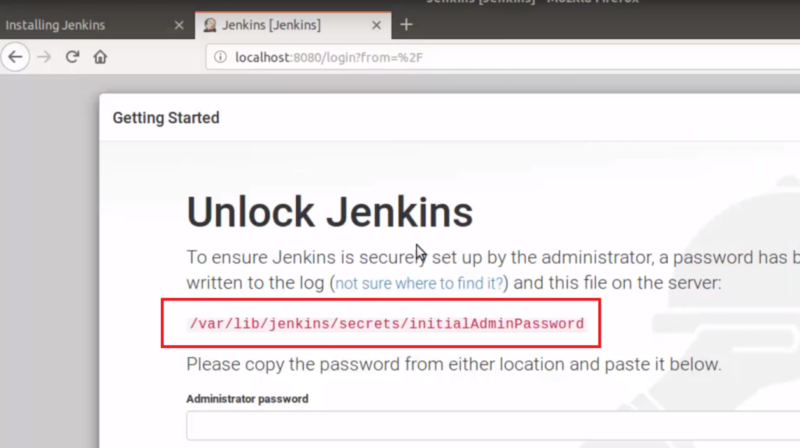 To login to our Jenkins server installation we need to first get the initial password. Jenkins Will indicate the location of initial password. Now in the next step choose -> install suggested plugins and wait for the plugins to install. 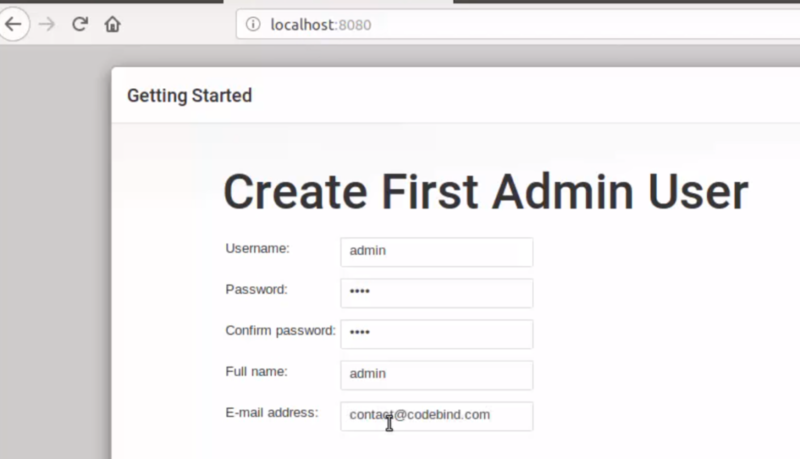 Next create first admin user and provide your admin credentials. Online Jenkins Course – Master Jenkins CI For DevOps and Developers (http://bit.ly/2M6xTMR). Learn how to build automated continuous integration pipeline with Jenkins. Take your DevOps skills to the next level.